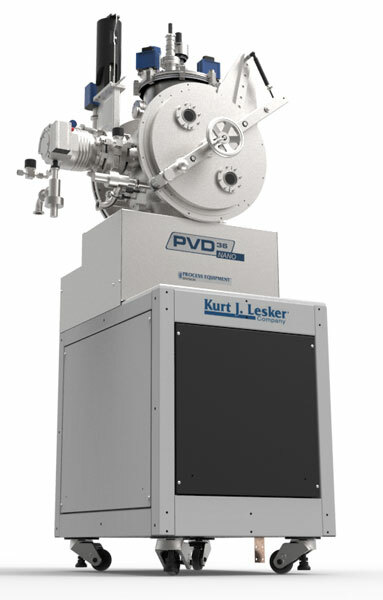 The Kurt J. Lesker Company® NANO 36™ is our optimized, entry level deposition system. 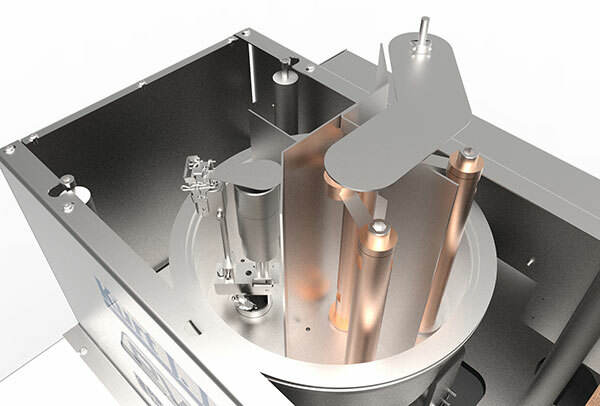 Our chamber design is uniquely suited for glovebox integration. 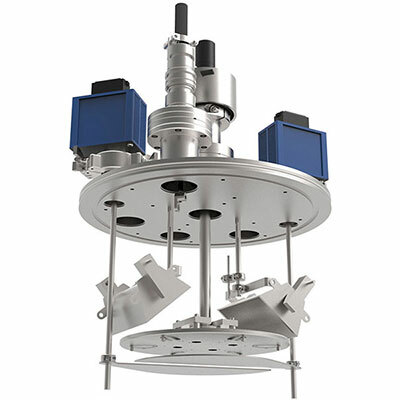 With increased capabilities and a smaller footprint, the NANO 36 provides an accessible price point while maintaining the quality you expect from KJLC. 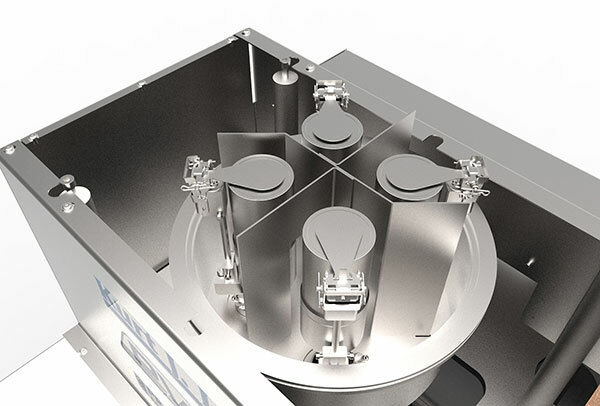 Quantity (2) viewports included in the chamber door. 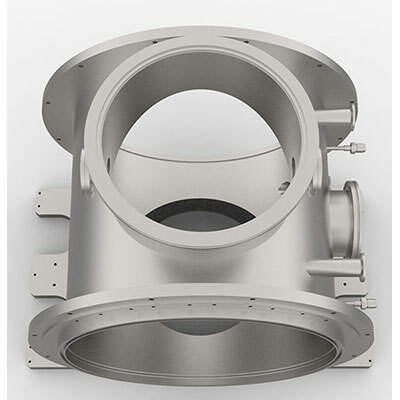 Viewports each have 1.26" Ø viewing area. 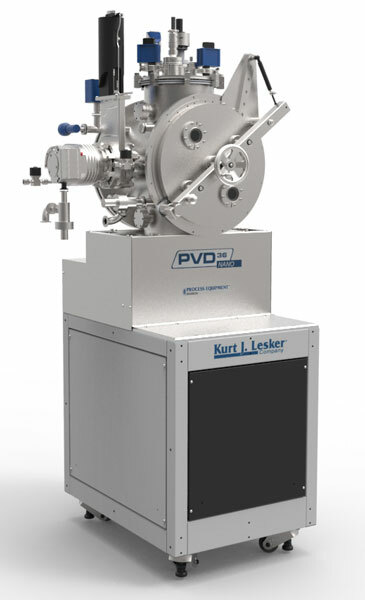 Pfeiffer 260 L/s turbomolecular pump with a KJLC RV206 oil sealed roughing pump. 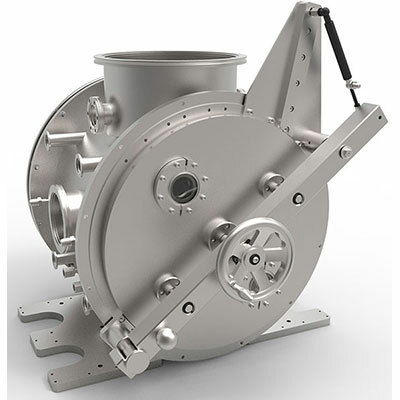 Dry Pump - Edwards nXDS6i - 3.6 cfm (6.2 m3/hr) Scroll roughing pump. 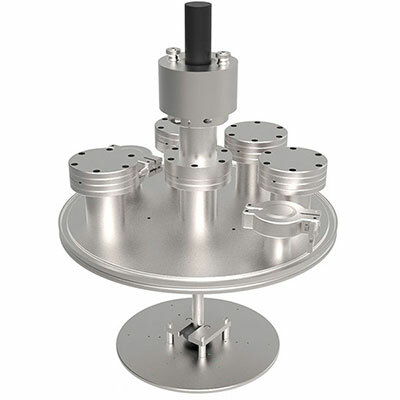 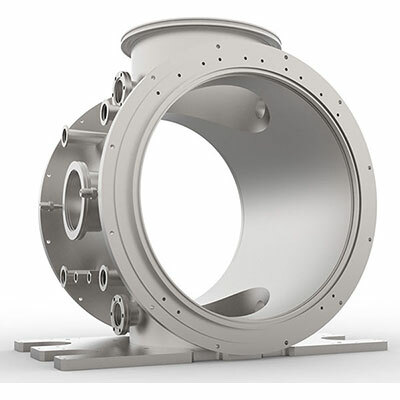 Up to Three KJLC Torus® 2" or 3" magnetron sputtering sources. 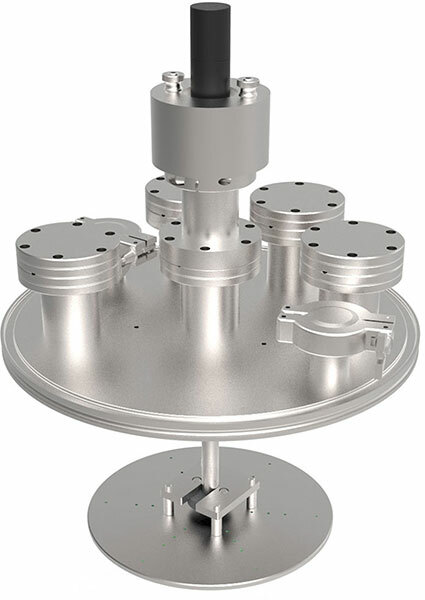 Flex head assembly and high strength magnet assembly options available. 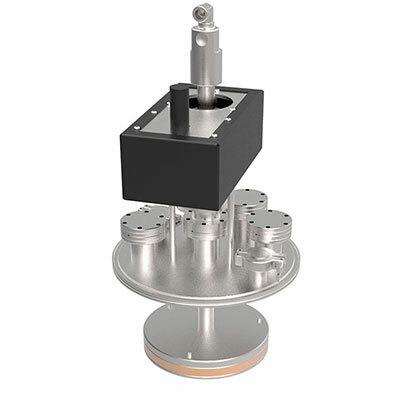 The Nano 36 is designed to allow the use of square substrates 100mm x 100mm or smaller and round substrates up to 150mm diameter or smaller. 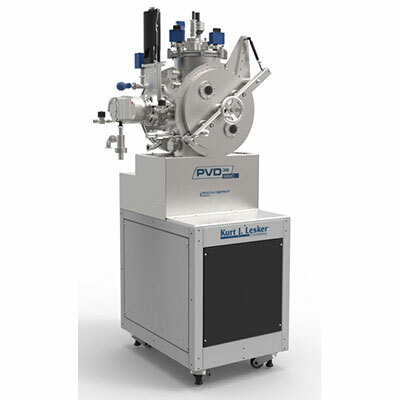 The substrate platen accommodates multiple size substrates using a KJLC multi-site fixture and substrate clips. Custom substrate/mask holders are available upon request. 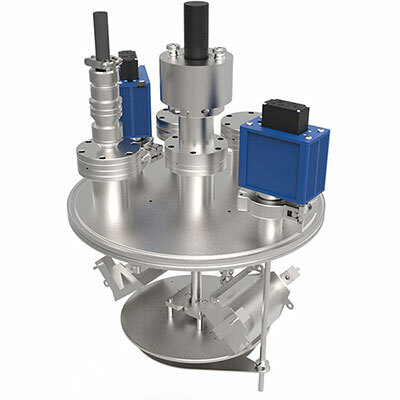 One Fujikin FCST1000F Mass Flow controller for a reactive gas. 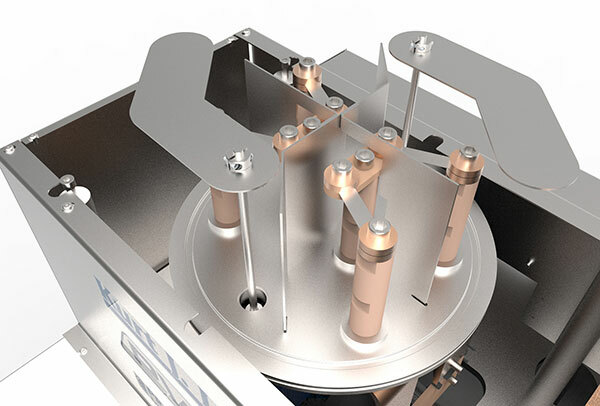 The Nano 36 is now easily integrated with a glove box. 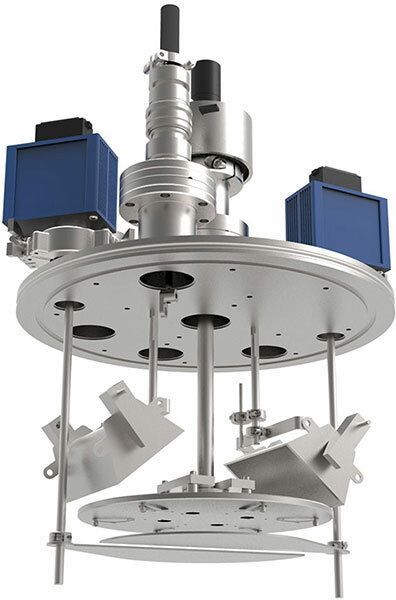 The process chamber features spring-loaded, pendulum style, full-access, aluminum doors. 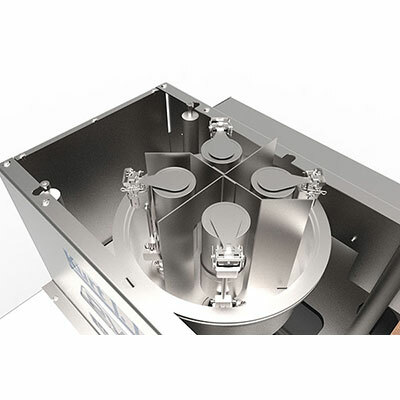 This new chamber design makes opening and closing the chamber door inside the glovebox a snap while providing quick and easy access to your substrate fixture and deposition sources. 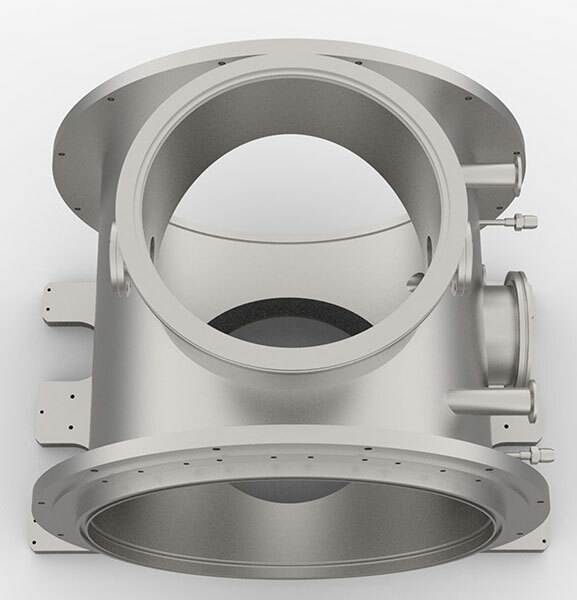 We also designed in a chamber back door option for glovebox integrated systems to allow chamber access while maintaining glovebox integrity. 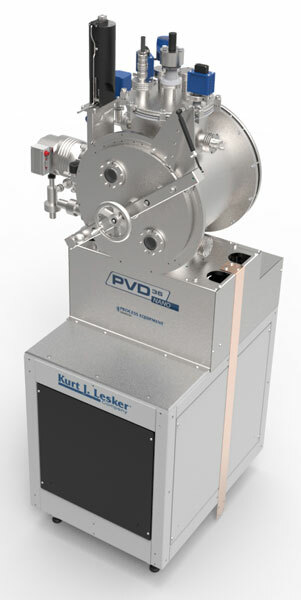 Kurt J Lesker is able to offer a wide array of standard and custom glovebox suites, from a standard 4 port or 6 port arrangement, to custom lengths and depths. 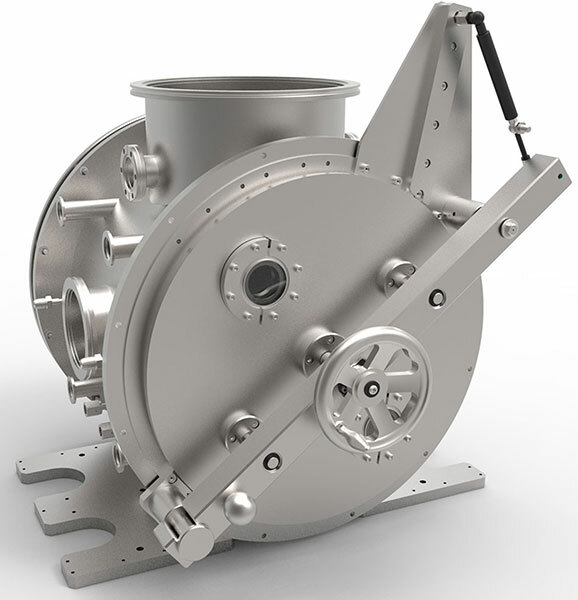 The NANO 36 offers a Pfeiffer 260 L/s turbomolecular pump and KJLC RV206 oil sealed rough pump as standard components with an option to select an Edwards nXDS6i - 3.6 cfm (6.2 m3/hr) Scroll roughing pump. 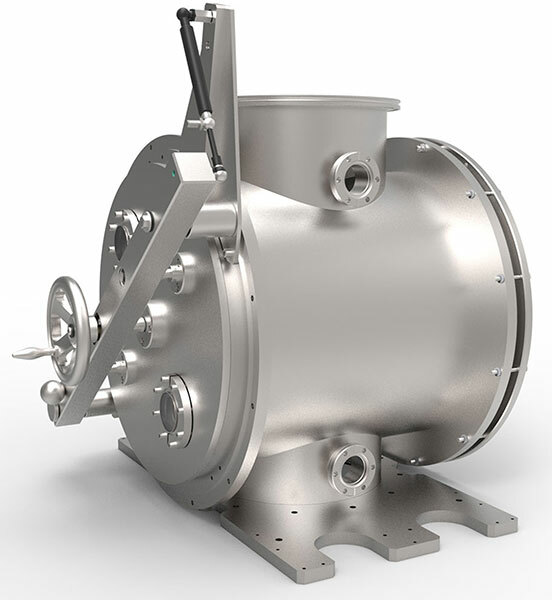 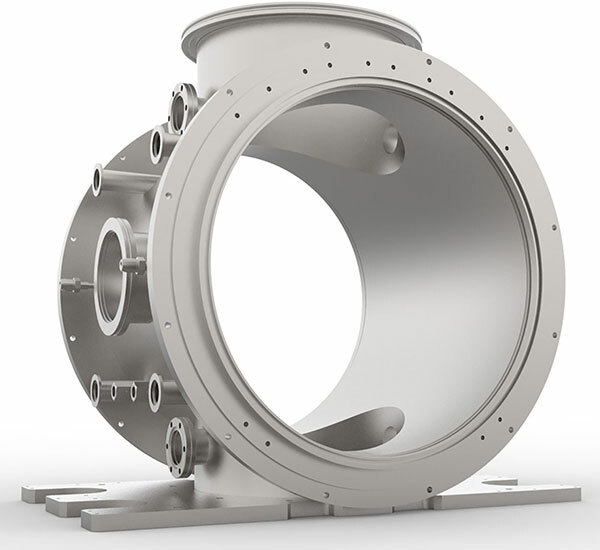 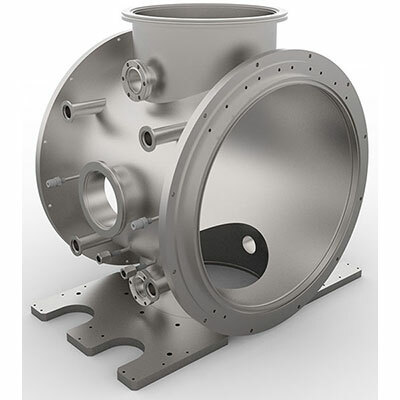 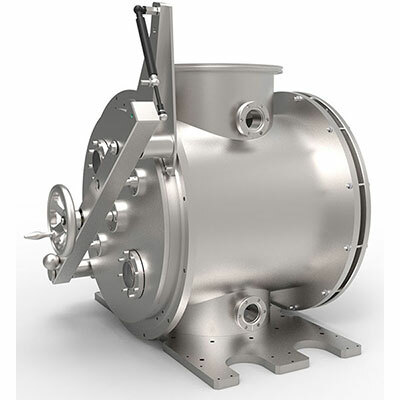 Base pressure specification for the NANO 36 is 9 x 10-7 Torr. 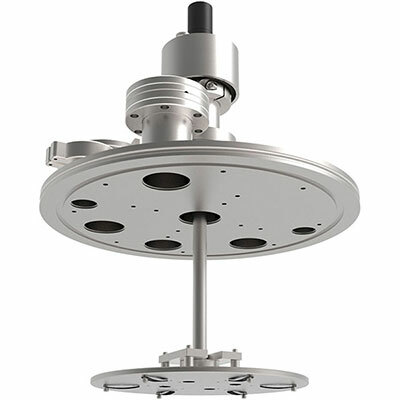 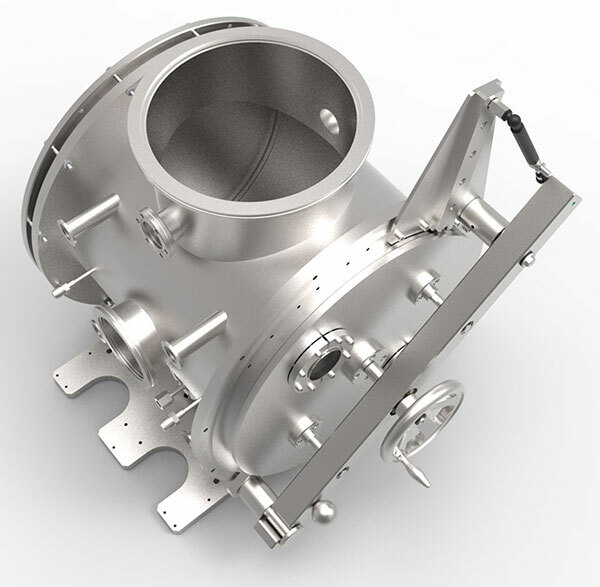 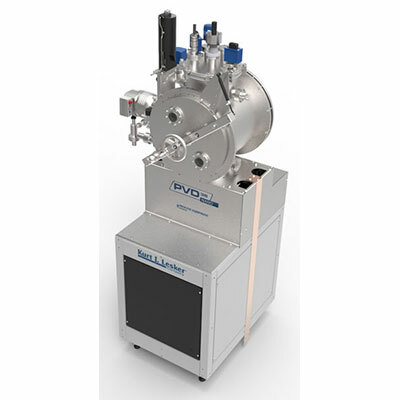 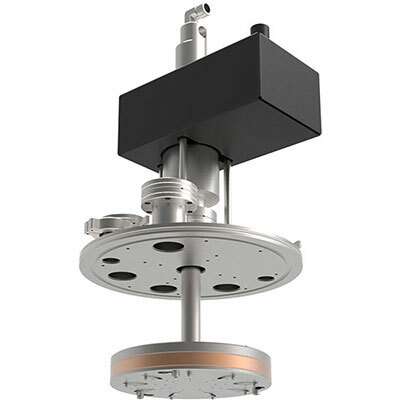 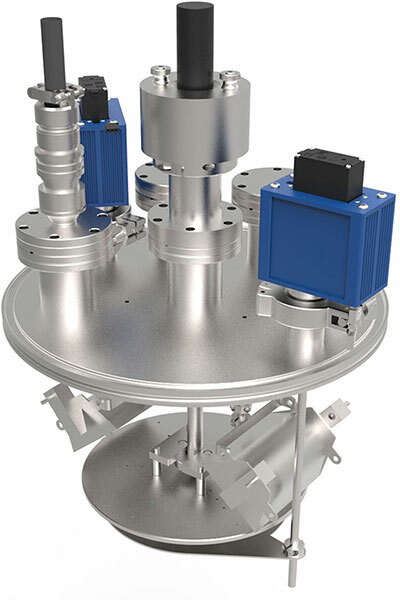 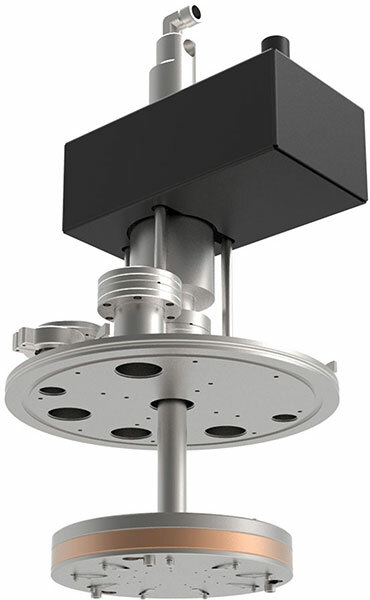 The Nano 36 offers single and multi-technique deposition options (Thermal + LTE only) including thermal evaporation and magnetron sputtering (Torus). 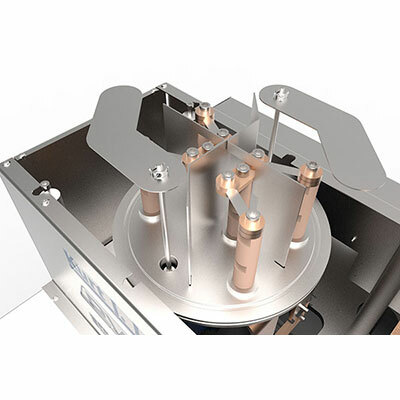 Only KJLC offers Mag-Keeper sputter sources with zero o-rings in the cathode body and a magnetically coupled target to allow for easy target changes. 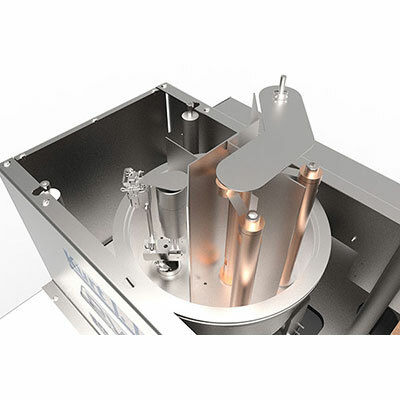 (A game changer when changing a target through a glove box!) 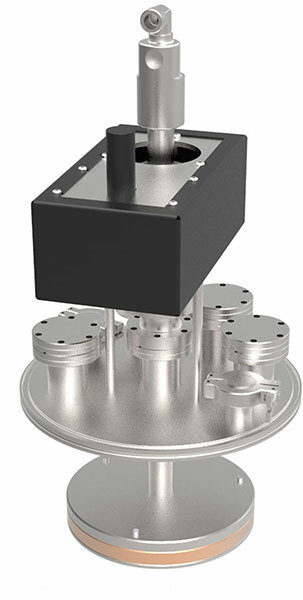 Our "patent pending" cooling well design enables operation at power densities ≥ 200 watts/.in2. 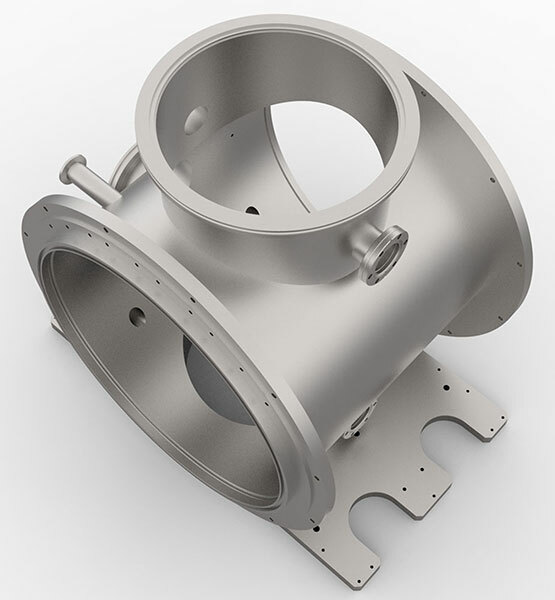 This cathode is designed to sputter up to a 0.375" thick target on the 3" cathode and up to a 0.250" thick target on the 2" cathode. 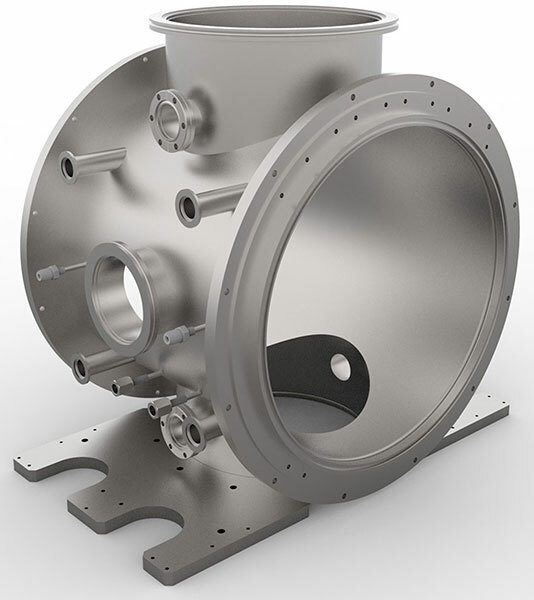 The high strength design is able to sputter up to a 0.125" thick Fe target with 3" cathodes, or 0.0625" thick Fe target with 2" Mag-Keepers. 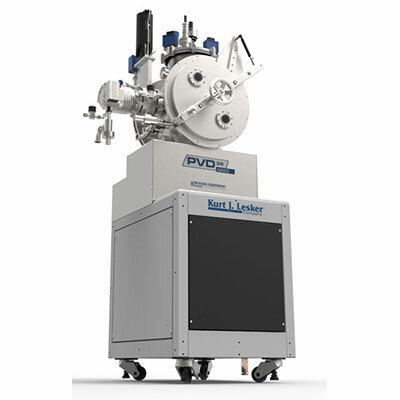 Without a hold down clamp or dark space shield this cathode is capable of running as low as ≤ 1mTorr. 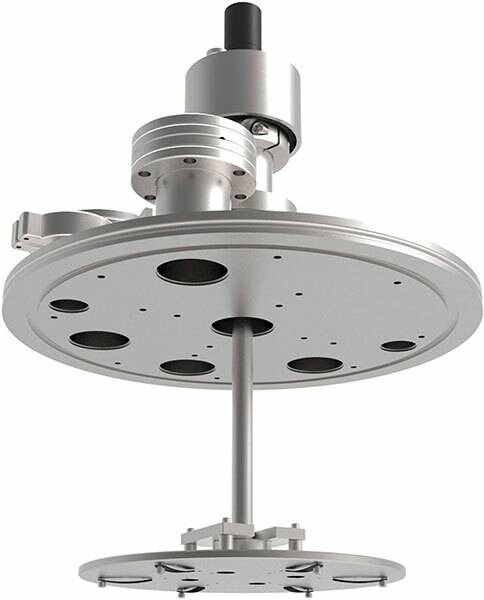 The unique dome shutter design eliminates the need for additional cross contamination shielding required with standard flip or swing shutters.